^ Fielding, Roy T.; Gettys, James; Mogul, Jeffrey C.; Nielsen, Henrik Frystyk; Masinter, Larry; Leach, Paul J.; Berners-Lee, Tim. 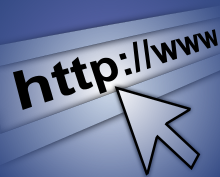 Hypertext Transfer Protocol – HTTP/1.1. IETF. June 1999. RFC 2616. ^ Mark Nottingham. HTTP/2 Approved. www.ietf.org. Internet Engineering Task Force. 2015-02-18. Change History for HTTP. W3.org. [2010-08-01]. Design Issues for HTTP. W3.org. [2010-08-01]. Classic HTTP Documents. W3.org. 1998-05-14 [2010-08-01].